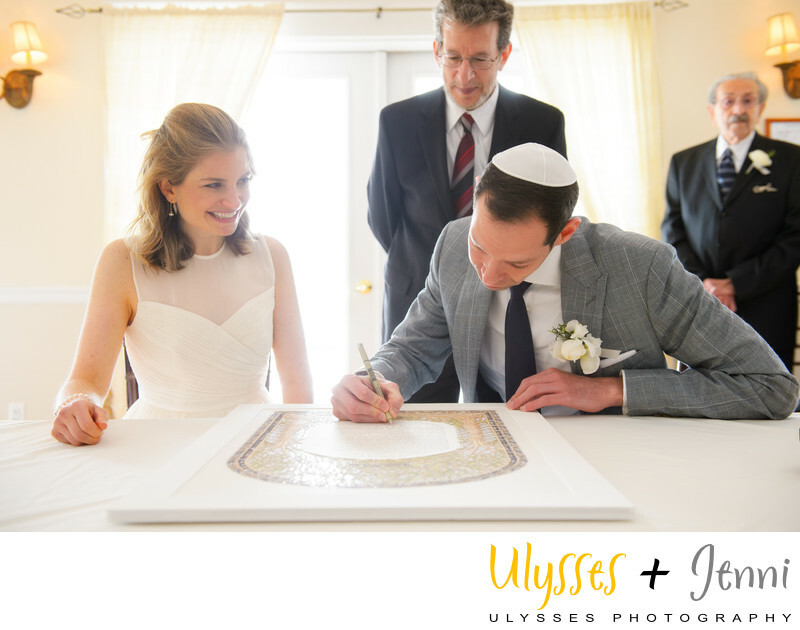 The bride's excitement as the Ketubah gets signed is so contagious! Their wedding was at The Rhinebeck Hotel, a historic railway hotel built in 1854. It is just 2 hours north of New York City. You can get married on the lawn with sweeping views of the Hudson River. Just 2 miles away is Rhinebeck, one of our favorite Historic towns. You absolutely must spend a day there, strolling through the many boutique shops, antiquing, and sampling the scrumptious food. We have always found the staff at The Rhinecliff to be some of the warmest and easiest to work with. I highly recommend a visit with them if you're planning a Hudson Valley wedding.